The terms and conditions of Total Piano Care apply to every page of our site at https://www.total-piano-care.com. Please scroll to the very bottom of this page to access the Terms & Conditions of the Online Piano Appraisal Service. Total-Piano-Care.com does not accept any responsibility for any damages and/or losses which may arise from reliance on information contained on this site. Reproduction, distribution, republication, and/or retransmission of material contained within this website are prohibited unless the prior written permission of Total-Piano-Care.com has been obtained. Please Contact Us if you want to use the content (text, images, videos) displayed on this site. 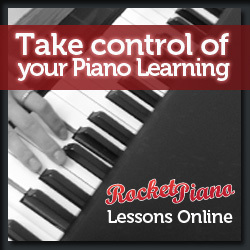 The contents of this site are protected by copyright under international conventions and, apart from the permission stated, the reproduction, permanent storage, or retransmission of the contents of this site is prohibited without the prior written consent of Total-Piano-Care.com. Some links within this website may lead to other websites, including those operated and maintained by third parties, including but not limited to 3rd party affiliates, of which we may or may not receive compensation for the purchase of their products. Total-Piano-Care.com includes these links solely as a convenience to you, and the presence of such a link does not imply a responsibility for the linked site or an endorsement of the linked site, its operator, or its contents. CALIFORNIA RESIDENTS must add an additional 8.75% sales tax to prices on merchandise. Sales of services of product(s) requiring installation by a trained professional, including but not limited to Dampp-Chaser systems and components, automatic player piano systems, and optical midi keyboard sensors, are not taxed, whereas the products itself may be taxed, depending on the state where you reside. By placing an order, you are agreeing to our ORDER POLICY, at the time of your payment being sent to Total Piano Care. All sales are final. Absolutely no substitutions, exchanges, refunds, or product changes after a shipment is made to you, or an order recipient, are granted. Piano Benches: Most benches weigh over 25+lbs. and result in high shipping costs. We uphold and honor our 1-year parts and labor warranty against defects in materials and workmanship. However, we do not tolerate any abuse of this policy and on the part of owners, and/or any negligence on the part of owners, after a bench has been received by you and used, and is later returned back to us, under or over a year later, worn, scratched, beat up, or gouged, from the date of purchase. Packages not received at the time of delivery and returned back to us are subject to a 15% restocking fee, plus shipping costs. No exceptions. RETURN POLICY: All sales are final. Exchanges are accepted within 30 days of purchase, minus a 15% restocking fee. Customer agrees to pay 50% of the shipping charge back to Total Piano Care, of any merchandise returned, including all piano sales and warranty claims. Please call (909) 784-KEYS (5397) if you have any questions, before placing an order. We will not redistribute ANY personal information, email-addresses, usernames, or any other type of information you submit to Total-Piano-Care.com at our website, blog or forums. Like many other Web sites, Total-Piano-Care.com makes use of log files. The information inside the log files includes internet protocol ( IP ) addresses, your type of browser, your Internet Service Provider ( ISP ), date/time stamp, referring/exit pages, and number of clicks to analyze trends, administer the site, track user's movement around the site, and gather demographic information. IP addresses, and other such information are not linked to any information that is personally identifiable. Total-Piano-Care.com has no access to or control over these cookies that are used by third-party advertisers. The following terms and conditions are agreed upon between the purchaser of the Online Piano Appraisal Service and Total-Piano-Care.com, and are subject to change without notice. 1. The purchaser of the Online Piano Appraisal Service understands and agrees that all appraisals are intended to be an estimate only, as a starting point of reference only, in determining a piano's current estimated market value. This estimated valuation is based on a combination of (1) our subjective professional opinion, (2) your comments submitted to us, (3) present market conditions in North America, (4) published price guides, (5) wholesale prices, (6) manufacturer suggested retail list prices (MSRP), (7) dealer list prices, (8) local and national auction listings, (9) the internet, (10) comparable sales of a similar new or used piano, published online. Only through a comprehensive inspection made by a qualified piano technician on-site of the piano, can an accurate evaluation, assessment, and appraisal be made. A piano's market value is determined by several factors, including but not limited to a piano's manufacturer, age, overall condition (e.g. structural components, cabinet, cast iron plate, pinblock, soundboard, bridges, inner working parts, etc. ), type, size, grade, geographic location, market demand, and rarity, all of which can vary greatly in different locations and situations. Without actually viewing the piano in person, Total-Piano-Care.com can only give a reasonable estimate, based on your comments submitted to us through the online evaluation form. 2. The appraisal values given to Customers are based on the articulated condition of the musical instrument as reported to Total-Piano-Care.com, described by the person paying for the service. The musical instrument has not been examined by Total-Piano-Care.com in person -- regardless of whether pictures and/or videos are sent to us of the piano. Total-Piano-Care.com is not liable for ANY failure to ascertain or disclose any condition of the musical instrument, and/or to provide a signed or hard copy certification. 3. Statements of valuation of the musical instrument are based on the sole opinion of Total-Piano-Care.com at the time of the appraisal. Changes in general economic conditions and changes in the used piano market from any cause, including local piano dealers' importation of used musical instruments from various geographical locations, which may change the market value of a piano in question. 4. By using this service you understand that the information and values provided by Total-Piano-Care.com are simply our opinion, based on the information you provide to us, and do not in any way guarantee or certify the genuineness or authenticity of your instrument. 5. Pianos owned by celebrities, both past and present, may appraise for a higher amount, given their celebrity and/or historical value. Appraisals ordered through the regular 24 hour or 5 day appraisal service are valued at a lower amount and exclude extended research and documentation to justify a higher valuation, based on past sales of a similar model and celebrity ownership. 6. Total-Piano-Care.com cannot guarantee that this particular piano can, or will be sold at a particular price, or that the musical instrument will retain the appraised value for an indefinite period of time. 7. The statements and opinions of the Online Piano Appraisal Service are those of Total-Piano-Care.com. Variations of opinion are expected to differ between different appraisal service providers. 8. Total-Piano-Care.com makes no representations that purchase or sale of the piano at the value stated in the appraisal is advisable or will satisfy the particular needs and/or purposes of the client. 9. Total-Piano-Care is under no obligation to contact piano manufacturers or other piano companies to verify the information submitted to us, to identify the piano's age, serial number, production date, or other status. 10. Total-Piano-Care.com shall not be held liable for changes in the value of your piano caused by changes in the condition of the musical instrument following the appraisal. Moisture, heat, water, humidity, sunlight, and conditions present in different structures, buildings, and environments may affect the sound and condition of the piano. 11. The appraisal delivery option you choose (5 days or 24 hours), shall commence AFTER the following three (3) actions have been completed by you, the customer. Your (1) online payment, (2) required information about the piano submitted via the online appraisal form, and any (3) requested pictures and/or video of the piano, received by Total-Piano-Care.com, whichever comes last, during our normal business hours of 10:30am - 5pm PST (Pacific Standard Time), Monday through Saturday. No appraisals shall be received, or sent, on Sunday. Receipt of ANY of these three (3) items outside of our normal business hours shall be counted as being received the following business day. If we must request additional information from you, to help us form a more complete and accurate picture of the piano in question, you agree to allow us an additional 24 hours before your appraisal's delivery, upon our receipt of said information. Due to any internet, misspelling, or technical issues which can arise from time to time, if you do not receive your appraisal within 24 hours or 5 days at the e-mail you have provided us, you agree to contact us at our e-mail: TotalPianoCare [at] gmail [dot] com AND by phone at (909) 784-5397 to help alert us to this incident. 12. An appraisal is delivered as-is with no expressed or implied warranties of any kind, other than those mandated by law. 13. You understand and agree to hold harmless Total-Piano-Care.com for any liabilities, losses, or damages arising from any inaccurate estimates and/or appraisals. 14. There are no refunds granted for the Online Piano Appraisal Service. All sales are final. 15. Orphaned Appraisal Inquiries: If we do not hear from you via phone or e-mail (see #11, paragraph 4) within 7 days after receiving your payment, or we do not receive the required information from you to complete your appraisal, within 7 days of your payment, we are under no obligation to complete your appraisal, except when required by law. Your appraisal payment will not be refunded after 30 days of its receipt. We can at our sole discretion, however, choose to reopen your appraisal inquiry, within 60 days of your payment, and no later, providing the necessary information is sent to us promptly within 48 hours of your e-mail or phone call. If you choose the 24-hour option, and you do not send us the required information to complete your appraisal within 24 hours of your payment, we reserve the right to complete your appraisal up to 48-hours after your information is received, via e-mail. We reserve the right to refuse your appraisal inquiry or reapplication, within 5 business days of its receipt. We shall contact you via e-mail or a phone call to inform you of this decision. 16. This site is created and controlled by Total-Piano-Care.com under the laws of the state of California, as stated in the venue clause seen above the Online Piano Appraisal Service Terms and Conditions. You agree that any disputes, lawsuits, or other claims related to your use of this site, including transactions entered into through this site, will be resolved exclusively under the laws of Riverside, CA in the federal or state court system therein. You agree to submit to the personal jurisdiction of such courts for the purpose of resolving any such disputes, suits or claims. Any disputes related to the terms and conditions stated on this website shall be governed by the laws of California in Riverside, CA, USA.